We are dedicated to providing the lowest prices in the market. If you see a lower price elsewhere with comparable quality/quantity, let us know and we’ll match it. Scroll down for more product information. Contact us if you have any questions. Request a Quote for order>2kg. Purchase online or email your purchase order to sales@acivepeptide.com. Payment options include money order, business or personal check, credit card and direct bank transfer. Choose your preferred payment method on the checkout page. Contact us if you have any question on the product or the payment methods. 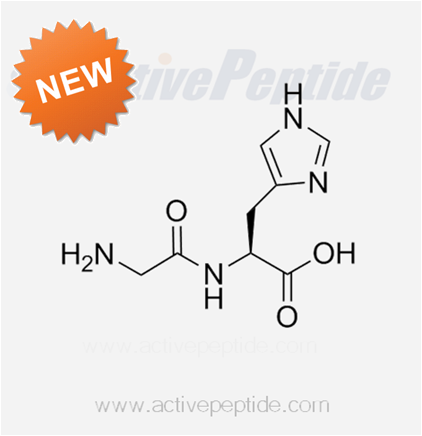 Active Peptide Company provides a comprehensive offering of peptides, amino acids and API intermediates. We offer online shipping convenience, custom synthesis, kilogram-production and quality assurance; Our 12,000 square foot lab in China is equipped with advanced technology and world class instruments; Our highly skilled scientists are committed to ensuring that the most appropriate techniques are selected for every project to achieve high quality and cost efficiency. Active Peptide © 2019. All Rights Reserved.